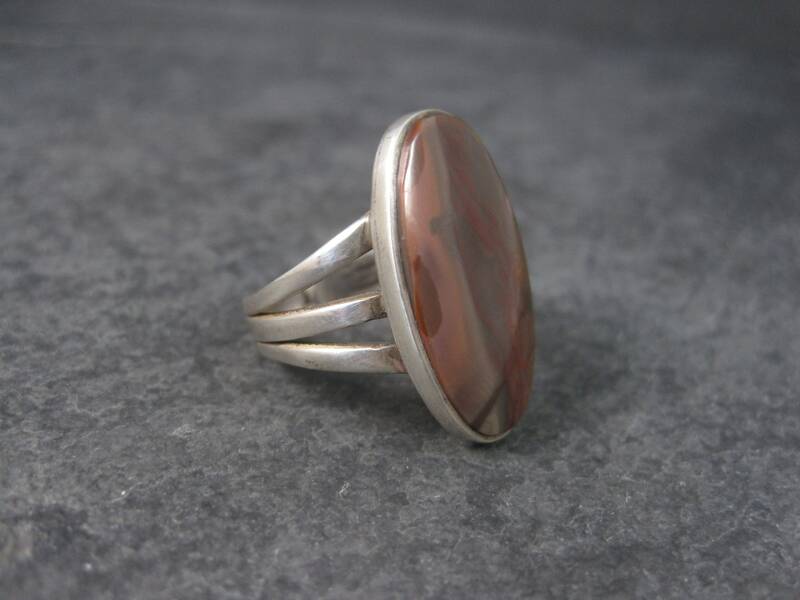 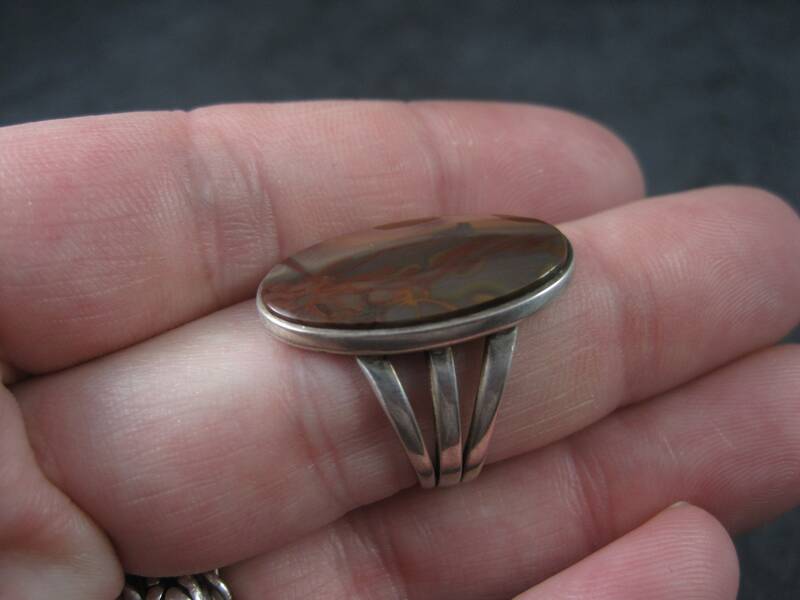 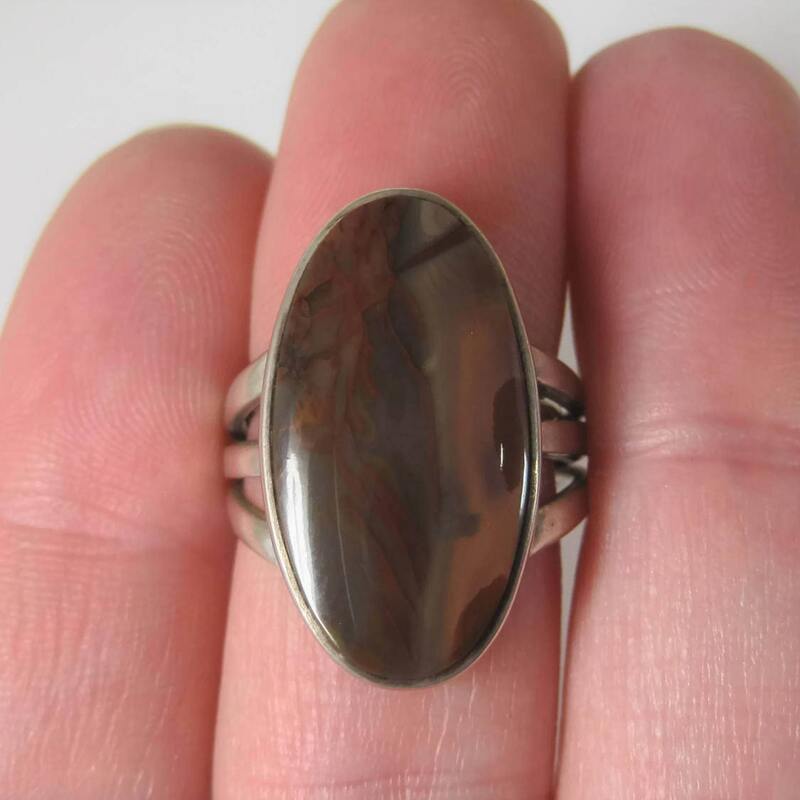 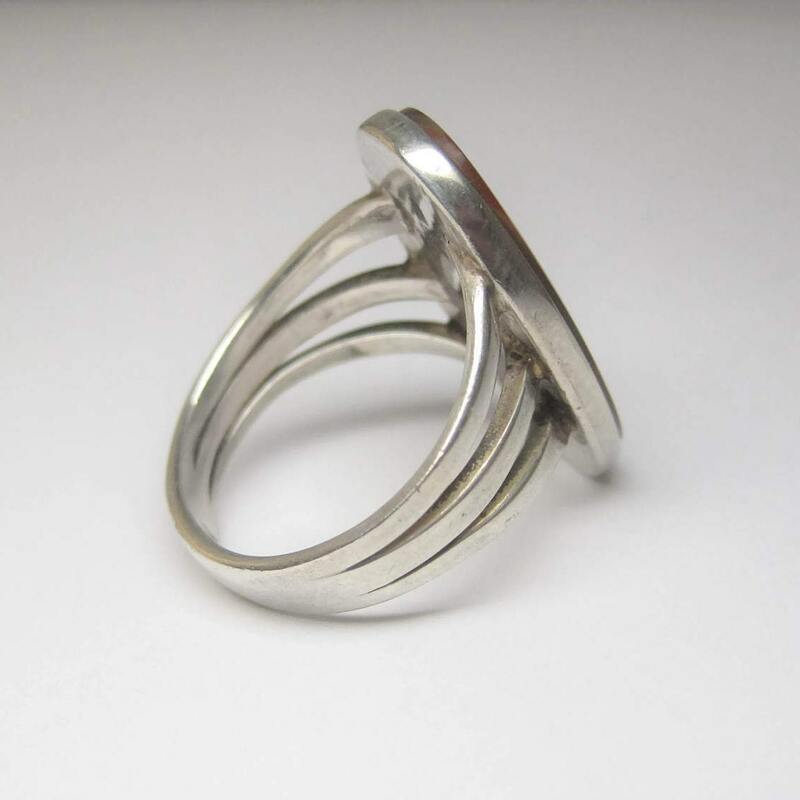 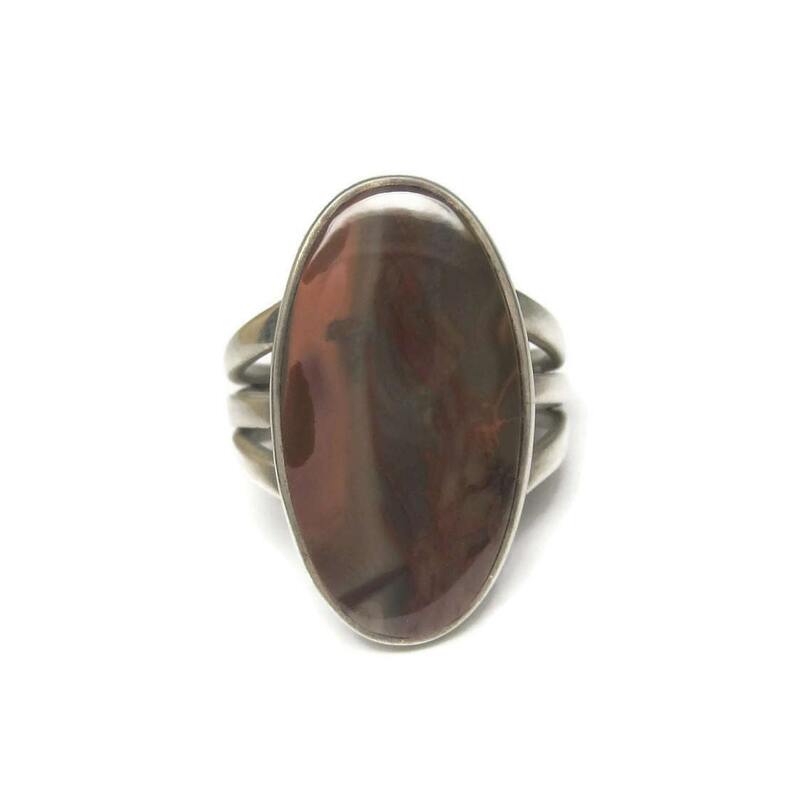 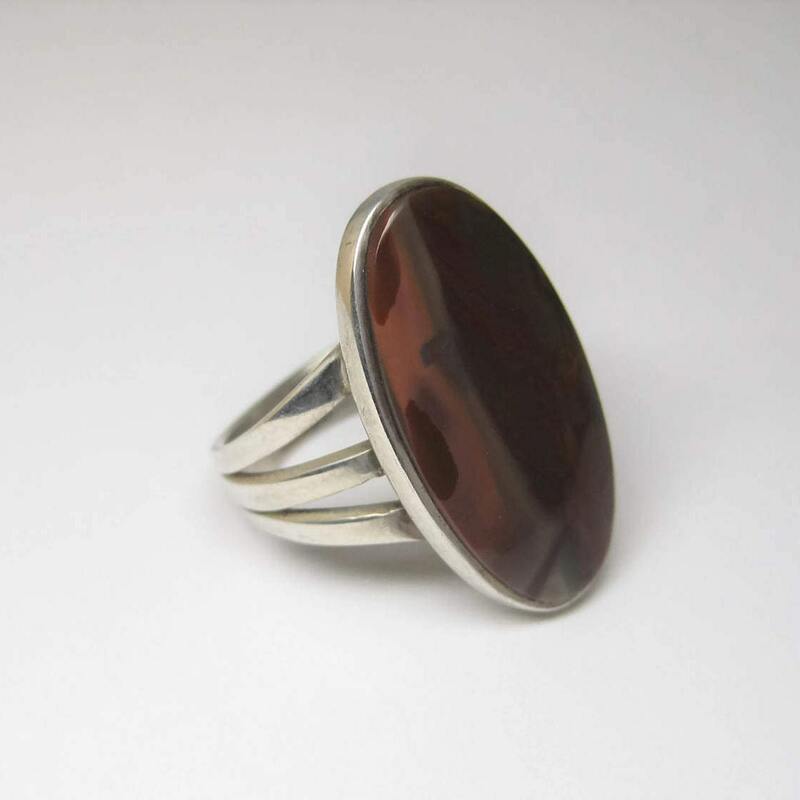 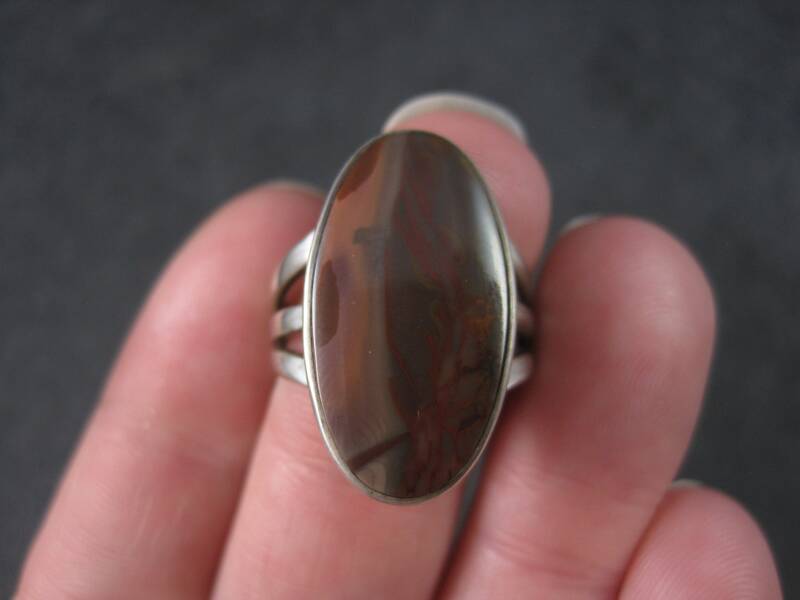 This beautiful southwestern ring is sterling silver. 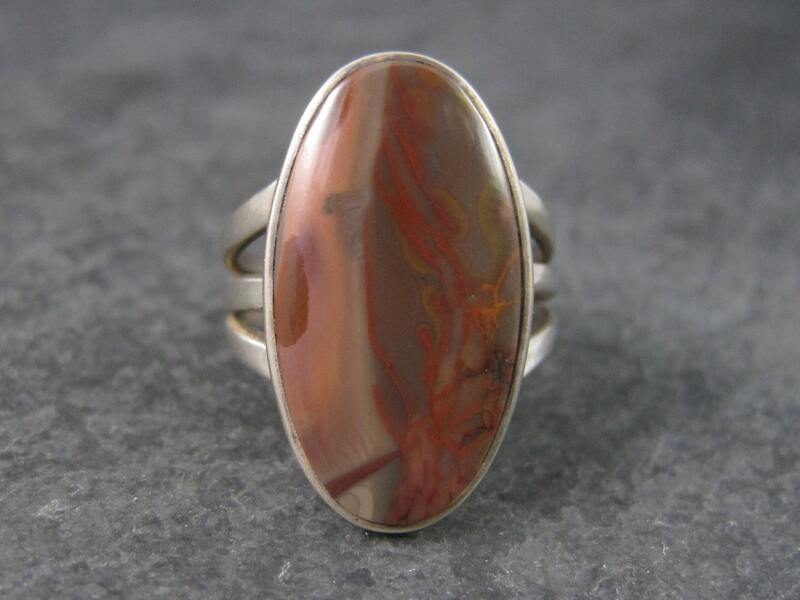 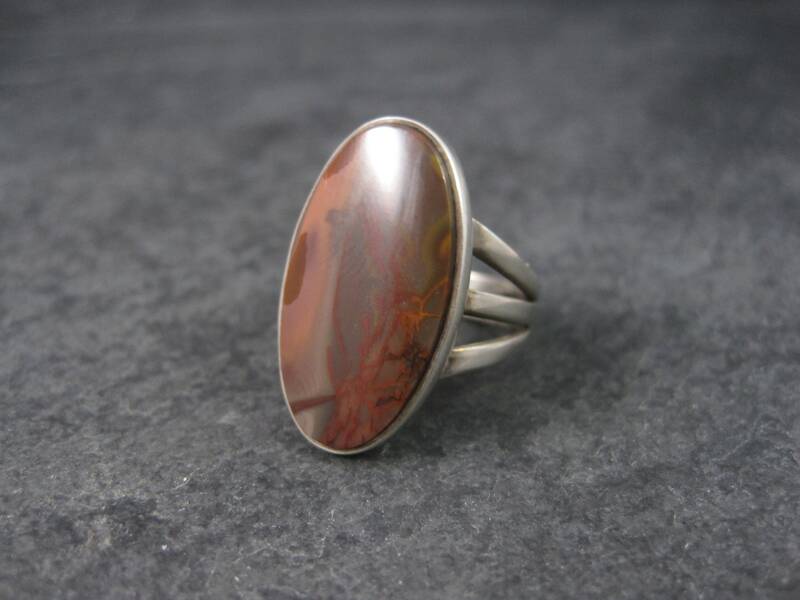 It features a natural jasper gemstone. 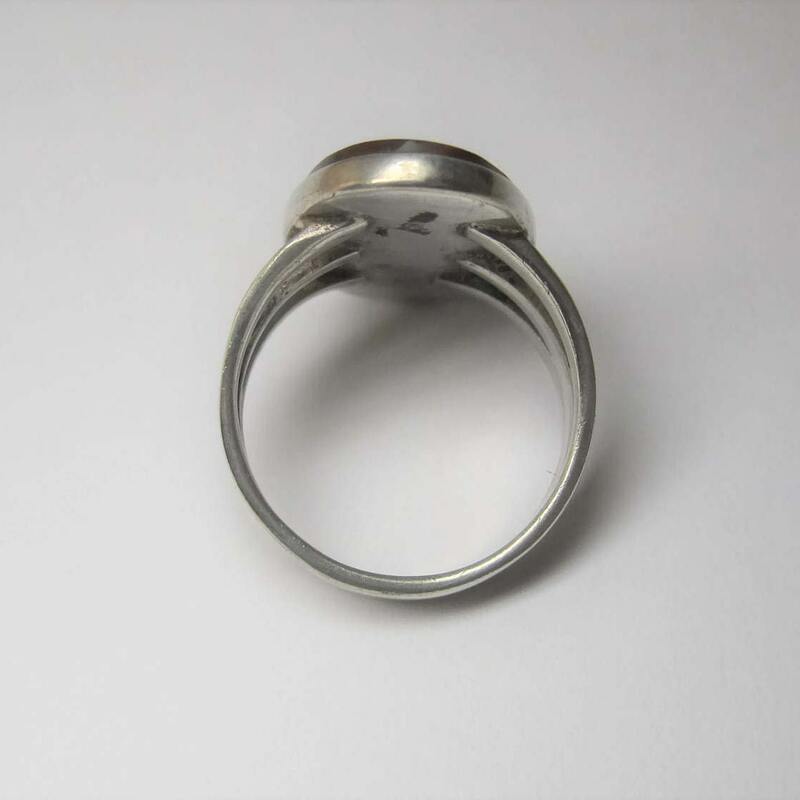 The face of this ring measures 15/16 of an inch north to south.